For those interested in racing with their own kart, Brechin Motorpsort Park hosts an annual Championship Racing series that is run by the Toronto Kart Club (TKC), a not for profit organization that has been around since the early 1960’s. Before racing at this level drivers have usually progressed from Public Karting and/or Arrive & Drive, but it is not unusual for drivers to purchase their own karts and drive right in! This often includes drivers of all ages that are completely new to the sport, and we are committed to helping you do it! Do not hesitate to contact us at any time if you are interested in learning more about this fantastic family activity where the young and not-so-young can enjoy the thrill and excitement of wheel-to-wheel motorsport action and competition at the grass-roots level. We will gladly take the time to answer all of your questions and help you decide if this is an activity that is right for you and your family. TKC events are sanctioned by ASN Canada FIA, the Sporting authority delegated by the FIA that oversees all Canadian national motorsport. Drivers own and maintain their own karts. All younger drivers work as a team with one or both parents – this is a family activity and parents are not passive observers like in other sports! Drivers must be members of the Club. Associate Membership is required for parents of drivers under the age of 18. Driver training/evaluation is mandatory for new drivers and is provided by the Club. Drivers are grouped in Classes based on age (Cadet – 8-11, Junior Lite – 11-14, Junior – 12-15, Senior 14+ and Master 26+). The Cadet Class may run a smaller kart which is not allowed in other classes. All Classes run the same engine which is regulated to restrict power depending on the class. The engine is sealed and is designed to be easy to operate so anyone can run them – there is no need for advanced mechanical knowledge! Race days are typically held on Sundays from 8 am to 4 pm (approximately). Practice is available on most days at the track, and many drivers purchase a Track Membership that includes unlimited practice for the season. Many drivers and families practice on Saturday before racing on Sunday. The 2019 Toronto Kart Club Championship consists of 11 races as well as other special events. Although most of the races will be contested here at Brechin Motorsport Park, the Club also looks forward to hosting and participating in joint races with other Clubs as well as Special Events during the season! Download the 2019 current schedule below and check back often for updates. You may also refer to our Event Calendar for dates and additional details. Once you’ve raced, you never forget it…and you never get over it. We encourage our members to race as often as they wish, wherever they wish, and we welcome all ASN licensed karters to join us as well. Whether you are a family looking for an activity that parents can do with their kids, a young adult with the need for speed, or someone that has always wondered what its would be like to drive on the limit, Its never too late to join in the experience. 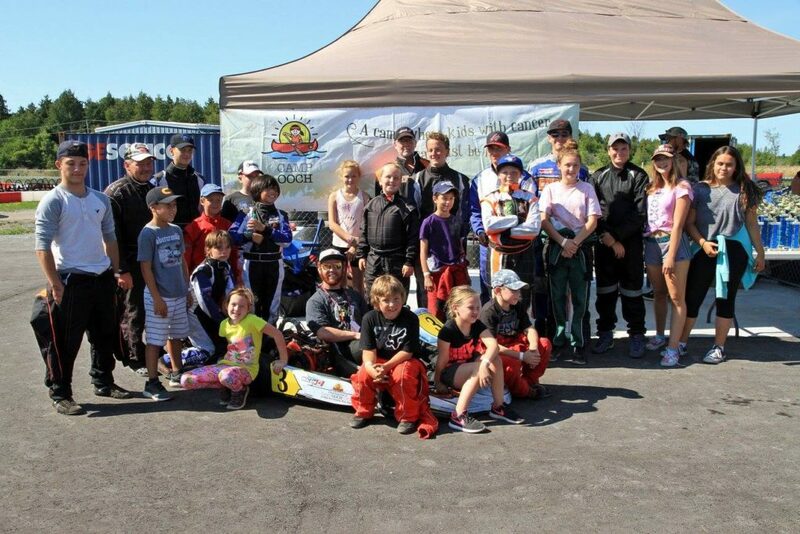 The Toronto Kart Club will get you going and it won’t be long before you embrace the culture, make lifelong friends and watch your kids grow up with the same incredible experiences. Note that all drivers under the age of 18 require an Associate Member as their guardian, and only Members and Associate Members are permitted in the Grid Area. Once approved, drivers will be issued an ASN Driver Competition Licence. Drivers are required to acquire and wear special personal safety equipment, attend on and off-track training and have an understanding of all Rules and Regulations. Check out the Toronto Kart Club website for further information! The documents above are not exhaustive. Check back often for updates, as well as with ASN Canada FIA for a complete list of ASN Regulations, Notices and Bulletins.